Freelance writers may operate as sole proprietors, form Limited Liability Corporations (LLCs), partnerships, or corporations—and with each of these business formations come tax deductions. This past weekend I bought office supplies, writing liability insurance, and an ad in a local paper for my upcoming writing class on author marketing. This week I will register for writing events and buy airfare to get to them. I’ll spend over $1,000 and 100% of this will be deductible. If I didn’t plan well, then these expenses could be made after the turn of the year and I would have to wait another entire year before I could deduct them on my taxes. If you are making an income from writing you should have an accounting system in place. Whether you use QuickBooks, FreshBooks, or other accounting software, explore the different features to get an overview of your annual income and expenses. Although I cannot personally comment on the reputability of the site or information contained on it, this page from a CPA features tax considerations for writers and artists, complete with checklists and expense sheets. 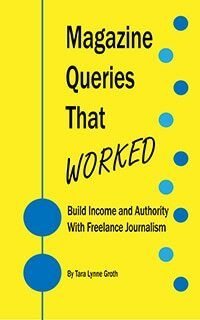 These lists would be helpful to new freelancers or aspiring writers who want to explore how their writing income will need to be managed. Advertising. Run a Facebook ad, schedule an ad in the local paper, or buy ad space on a top publishing website to spread the word about your writing services or upcoming event. As long as there is no direct or indirect political benefit, the full cost of reasonable advertisements can be deducted if they are intended to produce business gain. An ad doesn’t have to be a static ad—it can be an event. Hosting an event to advertise your writing or spread goodwill for your author brand? According to the IRS, “You can deduct the cost of providing meals, entertainment, or recreational facilities to the general public as a means of advertising or promoting goodwill in the community. The 50% limit does not apply to this expense.” Maybe take advantage of this deduction and host a year-end holiday party for writers or a local author appreciation event? Home office supplies. Stock up on toner, printing paper, envelopes, postage, staples, paper clips, files, filing boxes (You need to make room for next year’s clips and receipts! ), pens, notepads, and other supplies. (Remember, new home office deduction requirements went into effect in early 2013.) Don’t forget business cards! I’m ordering new ones specifically for Write Naked so that I can reserve my traditional cards for clients. Think about ordering separate cards unique to one of your books. Defer! Do you know a big check from a client or magazine article is coming your way next year? The nice thing about deductions is if you don’t have the money right now, you can charge the expenses to your credit card and still claim them for that year–even if you don’t pay them off until the following year. Alternatively, if you want to keep your income down to reduce your tax burden – ask clients to defer your income and issue your checks in the New Year. That way you have another 365 days to manage your tax planning. Again, if you missed my very prominent disclaimer above: Be advised that I am not an expert in the tax field and none of what appears here is intended as legal or financial advice. Speak with a Certified Public Accountant or tax attorney for legal advisement. Thanks, Tara–you are a gem.